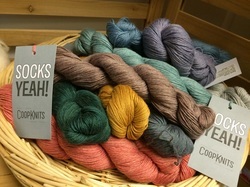 Got Yarn? We will share! At Dyed In The Wool we keep you updated with our newsletters. You can download and print our newsletter or read and enjoy. It is a great way to find out what's new, about to happen and what new skills are being taught. 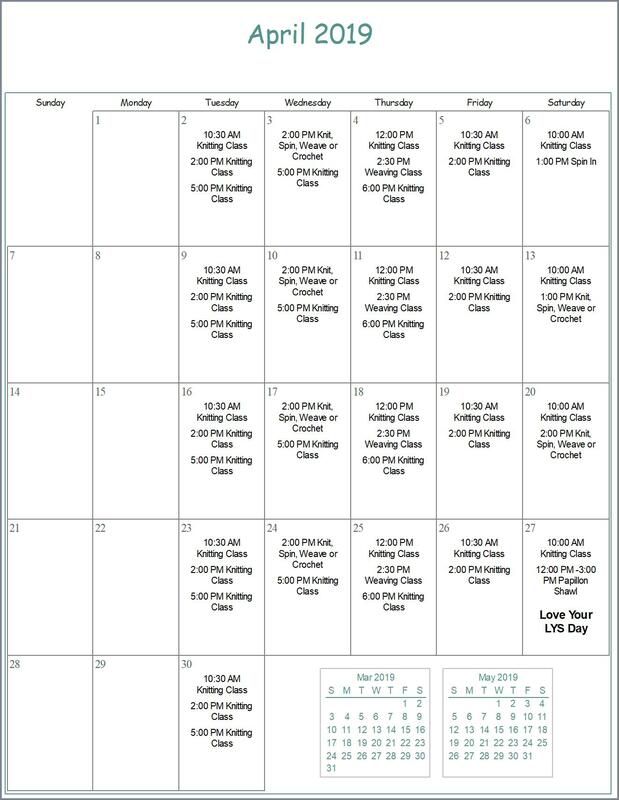 Our schedule is posted on a monthly basis so that you can keep up to date with all the wonderful goings on. Want to join us? Make sure you don't miss one of our Wine & Design sessions that run from May through October. 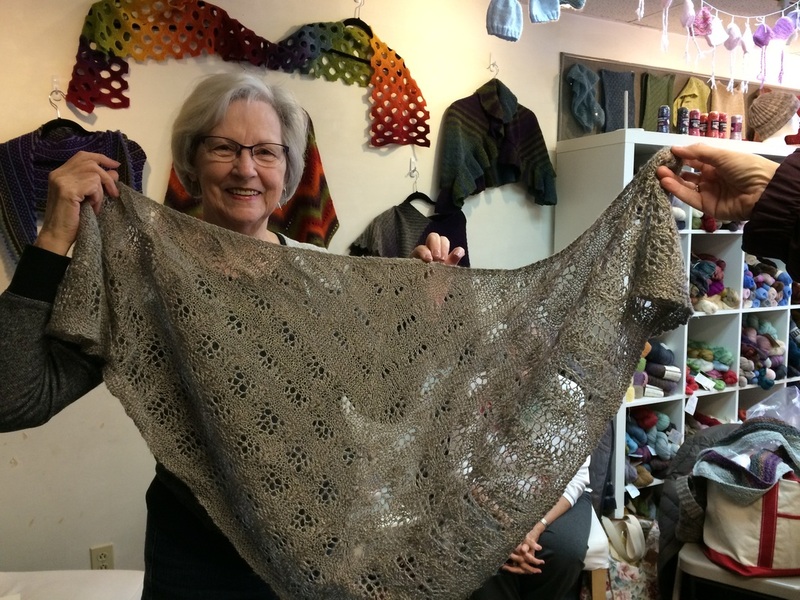 Be inspired by the amazing finished fiber projects by our many knitters, spinners, weavers and crocheters. The photo albums are a great way to pick out a new project or see a new color combination.